(R.R.P. £299.99). 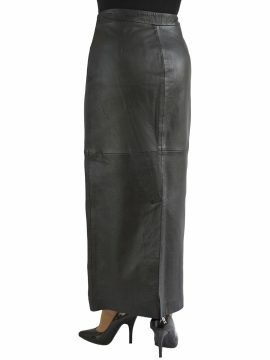 A beautiful, close-fitting black leather maxi skirt with a full rear zip opening, in superior soft lambskin nappa leather. It is ankle-length (length from waist to hem around 36in/91cm). It features a full length rear zip in antique gold-coloured metal which opens fully from the bottom upwards. 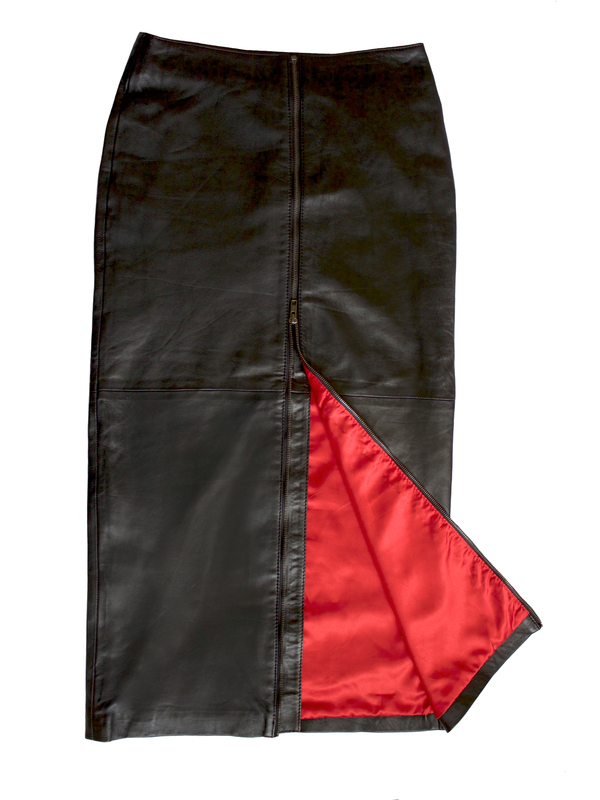 You can wear the skirt with the zip partially open to allow easier movement and to show the beautiful red satin lining as you walk or when sitting. Exquisitely tailored specially for the Tout Ensemble label by Ashwood to our own design. 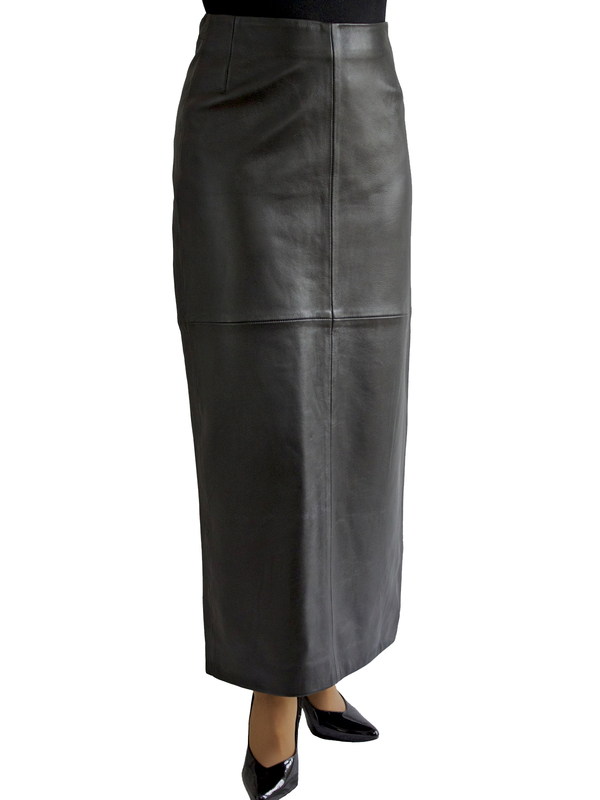 A black leather maxi skirt with a full length rear zip opening exquisitely tailored in superior soft lambskin nappa leather specially for the Tout Ensemble label by Ashwood. It sits at the waist and is styled to hug the figure around your natural curves. Length (from waist to hem): 35in/89cm (up to 37in/94cm in the larger sizes). The rear zip in antique gold-coloured metal opens fully from the bottom upwards – just wrap the skirt around you and then fasten the zip from the top downwards. You can also wear the skirt with the zip partially open to allow easier movement and to show the beautiful lining as you walk or when sitting. Robust antique gold metal full length rear zip that opens fully, fastening from the top downwards.